MORGAN MANOR is the address in the Vestavia Hills area for gracious living. This prestigious complex offers the privacy and amenities of home ownership. Elegant appointments include 9' ceilings and crown molding. Six-panel doors are used throughout and French doors lead to covered patios, which feature ceiling fans. Gas fireplaces and gas stoves add to the feeling of home. 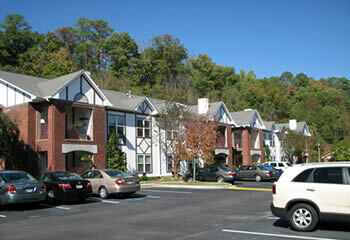 Morgan Manor provides a lifestyle that is beautiful, secure, convenient, and gracious.